Starlite Vaulters is a nonprofit group who need your help to continue to teach children that they can accomplish anything they want. Many of the vaulters not only excel in vaulting but also are or become honor roll students in their school work and their other sports. It is through the hard work that the sport of vaulting requires that they learn they must put forth their "all" in anything and everything they do. Starlite Vaulters teaches children they can achieve! Nothing could touch your heart more than seeing a young child's smile of satisfaction and pride after they finally manage to pull themselves up on a 16. 1 hand horse while it is moving. Hearing the excited cries, "look at me!" while they are standing by themselves for the first time on the horse's back is overwhelming satisfaction to a coach and parent. 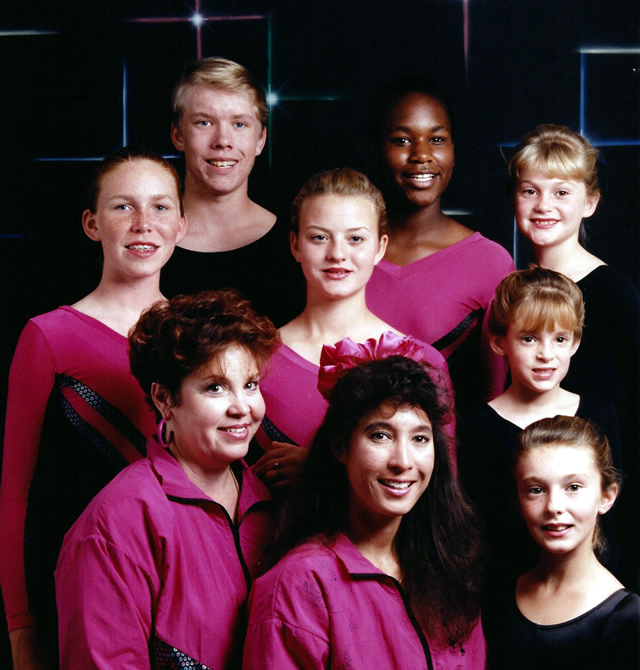 The Starlite Vaulters first started in 1987. The team has moved from a barrel only team to a two horse team. They practice twice a week in Clovis with their Belgian, Starlite's Portia, and American Bashkir Curly, Natasha. They also continue to work on a barrel which simulates the size and shape of the horse. The vaulters begin learning to vault by practicing on a barrel. The barrel allows vaulters to learn new exercises before mounting the horse. Starlite Vaulters ranked third in the nation with their trot 2-phase team for 1994 and have continuously had champion winning individual vaulters at walk, trot and canter.